I don’t work at bluehost.com; I work at www.globalgiving.org. Even though we have our own servers, it was just WAY faster to set up ushahidi on an affordable and user-friendly hosting service. Here’s how to do it. By the way, Bluehost costs like $8 a month and you get your own domain name. However Bluehost ONLY supports the alpha version of ushahidi. Later versions will crash because you must run php version 5.2.3 or greater. Thus, if you follow these directions on bluehost, you will be crippling your site. Consider some other web hosting service with the latest version of PHP. In April 2011, www.heliohost.org supported the latest version php and ushahidi and follows the exact same directions below. Heliohost is also totally free! The test site used here http://www.globalgivingcommunity.com is not an official .part of GlobalGiving, so please just ignore that url. Please do learn how we are using ushahidi to support our storytelling project and read an example of a community exercise that uses these stories. 1. Get a bluehost account and login. 2. Use File Manager on the control panel to find your /public_html folder and upload the ushahidi package to it. 4. You can leave the directory as /public_html. It will create a sub-directory called /ushahidi for you. I needed to make a different subdirectory for each instance, because I’m using bluehost to set up dozens. 5. Smile, because blue host does the next step (PERMISSIONS) for you. At this point, the ushahidi OFFICIAL instructions have a lot of stuff about PERMISSIONS. Don’t sweat it. Bluehost has got you covered, and will take care of this permission assigning stuff for you. In the rare event that it doesn’t work on step 6, go back and assign the files listed in the setup doc from ushahidi to 755. 8. Type in your database name and click CREATE DATABASE. [Click “go back” after you create it.] save the name of your database. You’ll need it to complete ushahidi. 9. Create a “data base user” and ADD that user to the database. Save name and password for ushahidi. After you ENTER your database user and password, and you click CREATE USER, you will return here and select that new user and assign them to the appropriate database. CLICK ADD and give this user privileges to everything. 10. Return to your ushahidi install page, click “Let’s get started!” and enter all your database details. 11. Enter the rest of your site details. You should create your own email account (free on bluehost) and ONLY use it for this purpose. DON’T enter your personal email address here, unless sorting through spam is your hobby. 12. Success! You can go many places from here, but the best place is to follow the link to your admin console. CHANGE YOUR ADMIN PASSWORD AFTER YOU LOGIN! 13. Use the ushahidi admin console to enter a GOOGLE MAPS API. Found under SETTINGS –> MAP on the admin console. Getting and inserting a google maps API should really be part of the basic setup, but the intaller forgot about it, so I’m doing it now. SET your country and default zoom here while you are at it. Other cool stuff: I really liked building and importing my own theme. Adding a theme only required plopping a few files into the directory: /ushahidi/themes/xxxx your theme directory. 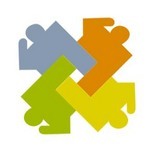 You can download themes from ushahidi.org. GlobalGivingCommunity’s custom theme: http://www.globalgivingcommunity.com/kenya/ Be sure to SHARE your instance with mine! You are up and running now. Everything else can be done from a web browser. You still have a lot of work ahead importing data, setting up FrontlineSMS, and filtering twitter and RSS feeds. Further questions or to join GlobalGiving.org – contact me at Marc Maxson (mmaxson@globalgiving.org). We’re always happy to help. and if you are an NGO sharing data, I’ll EVEN INSTALL USHAHIDI FOR YOU if you make all your data open. For an updated version of this post, see OhMyNoggin’s Blog. 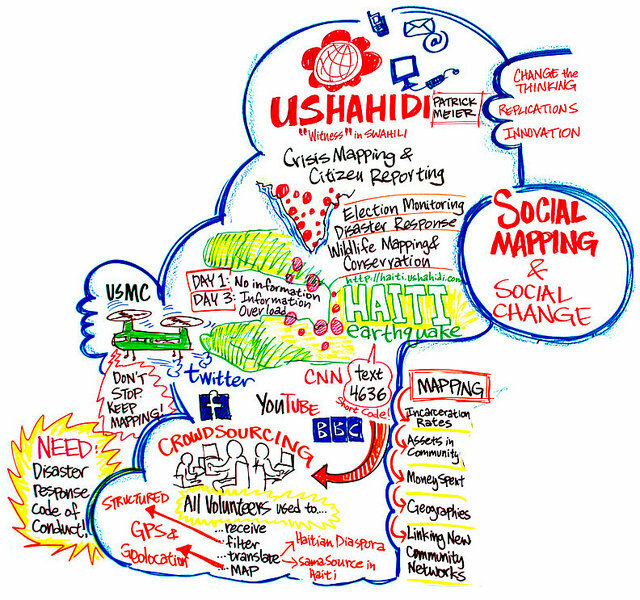 You can also support Ushahidi through GlobalGiving. Permissions never caused me trouble on bluehost. 755 is the most open permissions, and the ushahidi documentation will let you know if 644 is good enough or not. Google “chmod” for help on how to change permissions on your server. The general idea (barebones style) is to use telnet or SSH to log into your web server, find your directory and file in question, and type chmod 755 [filename] I believe. Also – general note to world – latest version of SWIFT RIVER does not work on bluehost.com because they haven’t upgraded to latest version of php yet. I have create a web site with the platform CROWDMAP of USHAHIDI, but I do not manage to receive information by sms on the site. Could you help me to make the configuration? I used the CLICKATELL application and I do not manage to put the information correctly on my account Clickatell. How does Crowdmap work with SMS reports? Currently we are not offering services to bind your domain name to your Crowdmap deployment. Crowdmap does not offer support for plugins. We have set aside and reserved some subdomains. Crowdmap is set up to allow you to search for specific hashtags only at this time. I followed the procedure laid out above. They all stem from ushahidi’s latest version requiring php 5.3 and bluehost serving up php v5.1.47. Go download an older version of ushahidi and install it (from before May 2010) – I think it will work. I complained to the usha tech team, no response yet. Er, I should revise this title downward from “15 painless minutes” to like… hours of pain and suffering. In the year since I wrote this, Ushahidi increased their PHP requirements to version 5.3x, whereas bluehost has not upgraded it’s version past 5.2.17 I believe. Tread cautiously on bluehost. Consider trying http://www.heliohost.com – as it is the only fully free host I found that supports the latest version of php. It does have a lot of down time, and their experimental server is unreliable, and they totally got hacked last month…. As to your question – if you are in the file manager, you should see a button that looks like a file in the vice or something and the word would be “uncompress” instead of “unzip”. Try right clicking on your file. established blog. Is it very hard to set up your own blog? It is the little changes that make the greatest changes. Thanks for sharing!